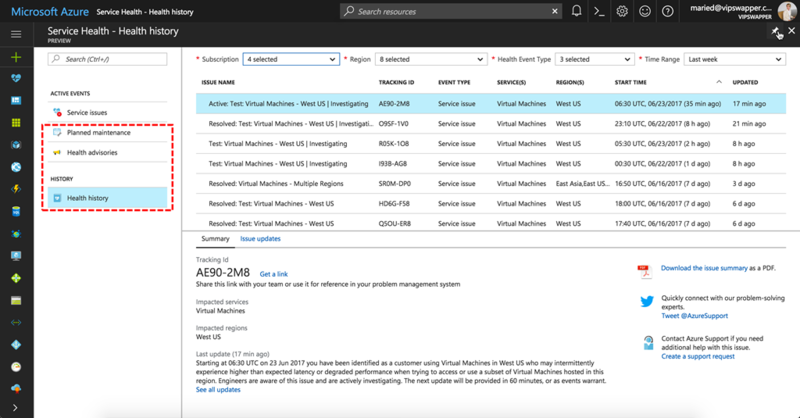 Personalized guidance and support when issues in Azure services affect you. 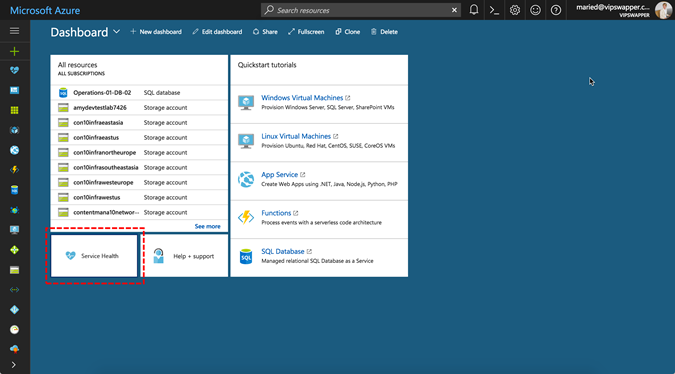 We are excited to announce the preview of Azure Service Health, your new personalized service health dashboard in the Azure portal. It provides guidance and support when issues in Azure services affect you. Azure Service Health also helps you prepare for upcoming changes and maintenance scheduled for your Azure resources. Watch this short video and continue reading to walk through the new Azure Service Health experience. It’s easy to get started. 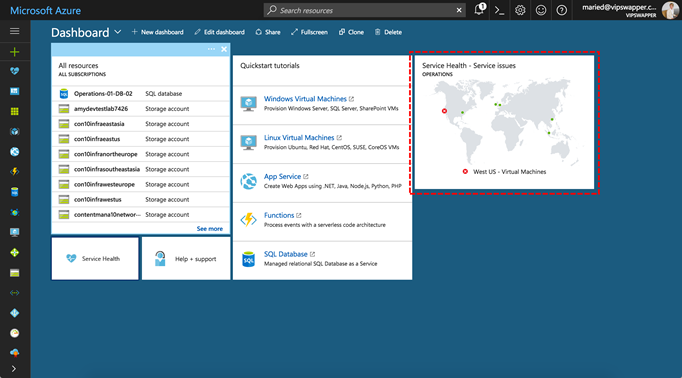 Simply select the Service Health tile to launch your new Service Health dashboard. The service issues view shows any ongoing issues in Azure services that are impacting your resources. Quickly understand when the issue began, and what services and regions are impacted. 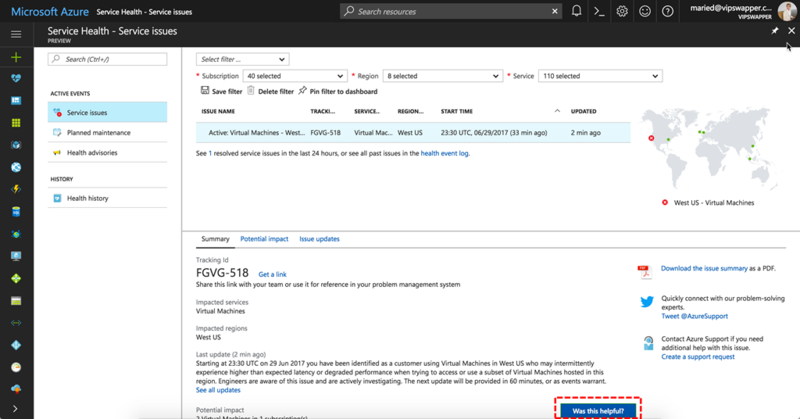 Get the most recent update to understand what Azure is doing to resolve the issue. Get a link for the issue to use in your problem management system. Also, download a PDF summary of the issue to share with people who don’t have access to the Azure portal. Review the list of your resources that might be impacted by this issue in the potential impact tab. 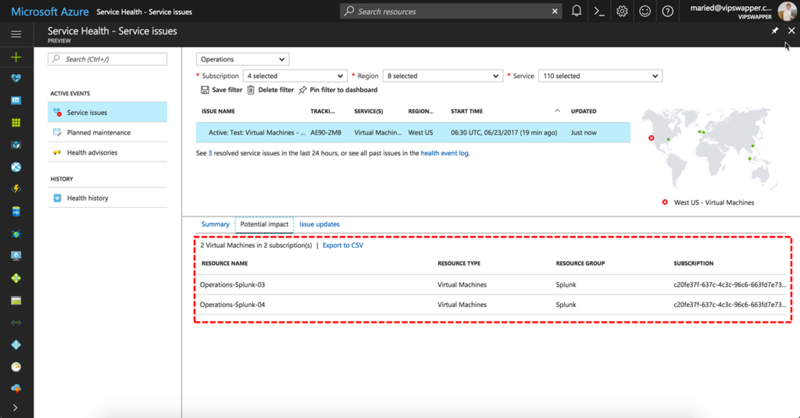 Use the export action to download the list and share with your team. Focus on what’s important. 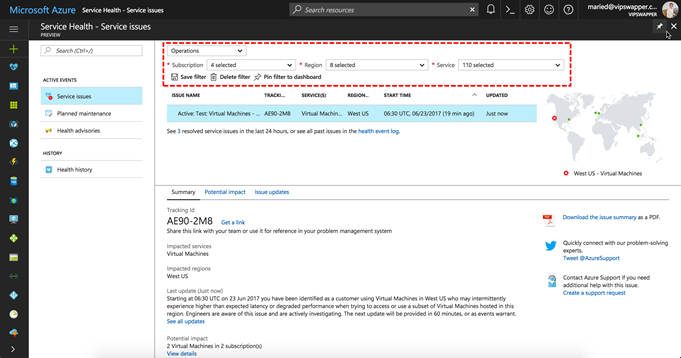 Filter Service Health to your business-critical subscriptions, regions, and resource types. Save the filter and pin a personalized health world map to your portal dashboard. Checkout the planned maintenance and health advisories views. Here you’ll find information about upcoming maintenance and recommended actions to prevent downtime. In the health history view, you’ll find all past events that affected your resources. Now that you’re well-versed with your new Service Health dashboard, let’s create a Service Health alert. The alert will notify you and your team the next time there is a Service Health event affecting you. Stay in-the-know with Azure Service Health alerts. We care deeply about what you think of Azure Service Health. Giving feedback is easy! Simply select the feedback action in the bottom right and let us know how we can improve. We are listening.